You’ve heard of the 12 Days of Christmas? Well starting December 1st we’ve got the 12 Days of Planner Christmas for you! Post a picture on Instagram and/or Facebook of the planner essential on the corresponding day in December on list below. For example, for “1 Binder” post a picture of your binder on December 1st. Be creative! 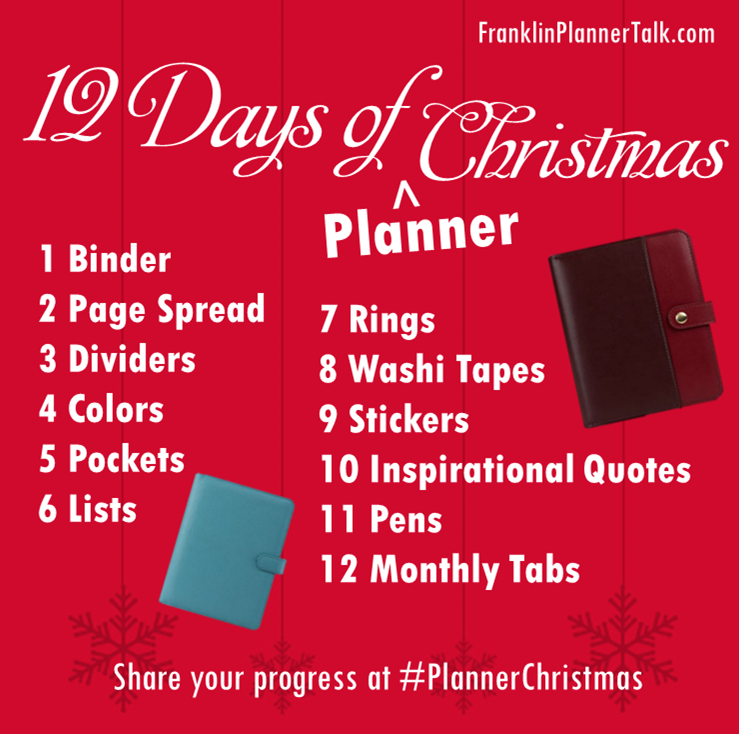 Use the hashtag #PlannerChristmas and tag @franklin.planner so that we can see your pictures! 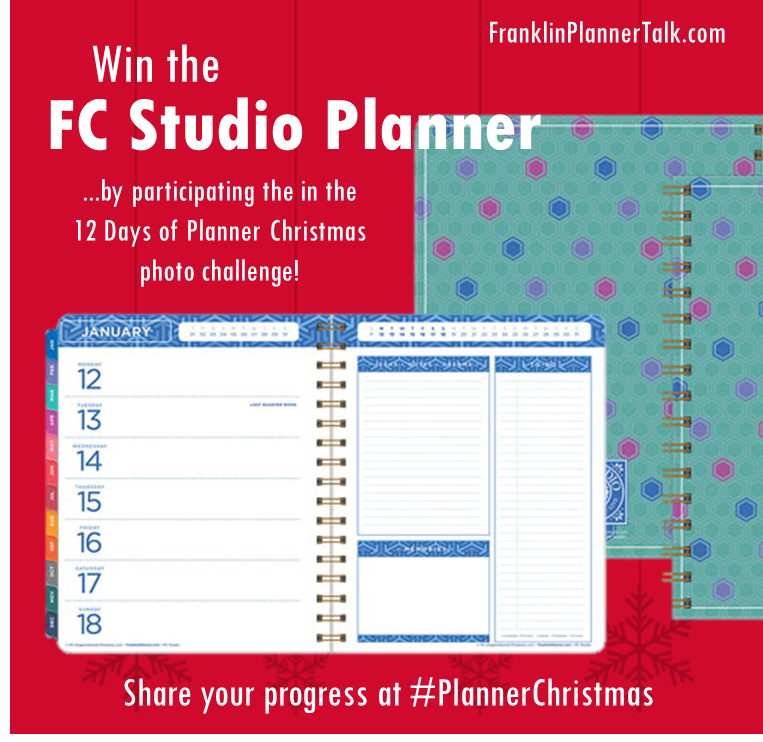 Show us your favorite planner essentials and participate for a chance to win a 2015 FC Studio Planner! Winner will be announced Monday, December 15, 2014! Happy planning!